When one loses data, the first and foremost thing that they want to perform is to recover their lost data as much as possible. 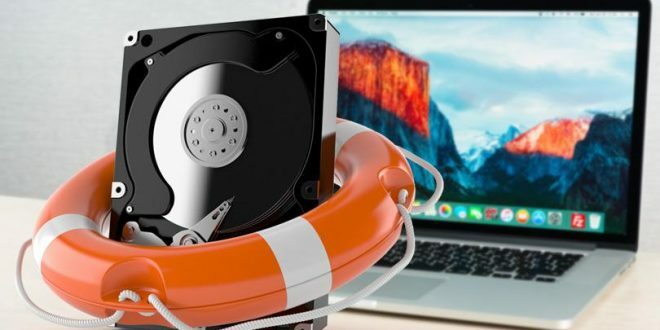 There is plenty of data recovery software that aims to recover lost data for large scale enterprise firm, small scale businesses and individuals too. How does a Data Recovery Software work? An efficient data recovery program helps in evaluating various different corrupted areas present on the hard drive that is normally inaccessible. This software help in recovering data from varying devices such as solid-state drives, CDs, storage tapes, RAID, DVDs, internal hard disks, USB flash drives, and external hard disks. A data recovery application is capable of recovering data that has got lost due to logical or physical damage. Example of logical damage is when one is not able to mount the data on host. Data recovery software also recovers data even if sectors of the hard drive are damaged. This software looks for data fragments lying inside the hard drive. It also tries to transform these fragments into the original version of file. The best part of this software is that it is user friendly and quite simple to install. Learning about the requirements will help in the best selection of the data recovery software. There are certain tips that will assist you in finding the best data recovery software. Before finalizing a data recovery program, you are required to consider the functionality of software. You need to find whether or not software is able to recover files that have been deleted permanently. It is important that the software is able to retrieve data from reassigned partitions or deletion. Some good data recovery software has the capabilities to recover data from formatted partition, hard drives with infected sector or RAW drive. The recovery application has to be consistent with whatever type of hardware one uses to get best results. Following are some of the advanced data recovery features present in a good data recovery application. With the help of this functionality, you can create the image of selected areas of hard drive or all areas of hard disk. This image file will be used by the software to recover any type of deleted files. You can get this feature appropriate for hard drives that have physically damaged sectors. This feature also allows one to efficiently copy or move all the available data from the broken hard drive to a completely new one. If your PC has failed to boot correctly, then you need to find recovery software that enables one to recover files without any effort. Such an application has to come along with a bootable CD that enables one to boot the system from it. This feature help in recovering files from other computer that lies at a remote location or connected via a network. It is a handy feature when you can’t directly access your damaged hard drive. This feature is helpful for people who use cloud storage services. Most of the data recovery software present online is compatible with distinct file systems such as NTFS or FAT. However, if you have got another file structure, then you need to locate recovery software, which supports it. Loss of data can be a very painful and critical experience for a person. It can bring entire data dependent processes to a halt or might even cause some issues for people who handle big business. Data recovery systems come as a savior as they help with restoring all the lost data in just few minutes.